Commercial trucks operated by overworked and sleep-deprived drivers are a hazard to anyone traveling on Washington roads. 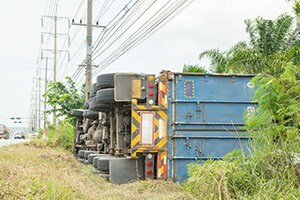 According to the U.S. Department of Transportation, almost four thousand people die every year in large truck crashes. At Kraft Davies, PLLC, in Seattle, we provide a strong voice to accident victims and their families. We represent those injured or killed in trucking accidents all over the state of Washington. We have decades of experience pursuing a full financial recovery for the current and long-term damages accident victims have suffered. We have the skills and legal resources to hold truck drivers and their employers accountable for any reckless actions resulting in catastrophic injuries or fatalities. Federal regulations govern the trucking industry. Drivers must take periodic breaks and stay on the road for only a certain amount of time. The loads they carry must be within the law to avoid unnecessary hazards on the road. However, rules are only effective when trucking companies follow them. When truck drivers fail to take adequate rest breaks or avoid properly loading their rig, serious and fatal trucking accidents can happen. At Kraft Davies, PLLC, we have years of experience proving fault in accidents involving 18-wheelers, logging trucks, and other commercial vehicles. We have a firm understanding of the federal and state trucking regulations. Our lawyers will apply their years of experience, skills and legal resources to your benefit. We commit to protecting your rights and holding any at-fault parties accountable for the damages you have suffered. We prepare all of our personal injury claims for a favorable trial verdict and are committed to proving fault and the extent of damages you have incurred. We have learned that we are able to obtain the best pre-trial settlements for our clients by treating every case as if it will go to trial. Our Seattle trucking accident attorneys will pursue a full financial recovery against all at-fault parties to cover your current and long-term medical expenses, lost wages, and pain and suffering. If you or a loved one was involved in a trucking accident, contact us online or call us today at 206.624.8844 for a free consultation.